A couple of months ago, I was invited to attend the 2016 US Open tennis tournament. Except for the main stadium, the Open is an outdoor affair. So nothing chills an attendee's heart more than a forecast of "scattered showers." Fortunately, one of my fellow guests had the Dark Sky app. 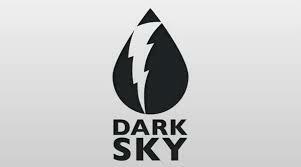 Dark Sky is the weather app of your dreams - it alerts you up-to-the-minute with what nonsense Mother Nature has in store, its severity, and how long it will last - right over your head. The app also provides unique radar imagery, unbeatable accuracy, and hyper-localized results. This does not come cheap - about $4.00 in Apple's app store. But there, at the Open, it made all the sense in the world. We knew that at a specific time, we could safely leave Arthur Ashe Stadium and watch matches in the open air Grandstand court. I know whom I have to thank, for being alive. Aristides de Sousa Mendes do Amaral e Abranches, a Portuguese consul stationed in Bordeaux, France in 1940. Sousa Mendes didn't just save my mother's life, he saved 30,000 people, over the period of a few days. This heroic feat has been described as "the largest rescue action by a single individual during the Holocaust." At that time, Portugal was pro-Hitler and under the dictatorial rule of Antonio de Oliveira Salazar. Salazar issued a directive – the infamous “Circular 14″ – to all its diplomats to deny safe haven to refugees, including explicitly Jews, Russians, and stateless persons who could not freely return to their countries of origin. Sousa Mendes’s act of heroism consisted in choosing to defy these inhumane orders and following his conscience instead. "I would rather stand with God against Man than with Man against God," he declared. And he and the subordinates under his command issued 30,000 visas allowing 30,000 refugees to leave soon to be Nazi occupied France. And so, instead of perishing in a concentration camp, my mother, grand-mother and great-uncle were able to leave France just as the Nazis entered Paris. They escaped via Portugal to the United States, and here I am. 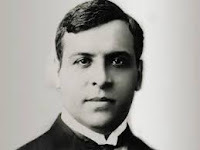 For his act of defiance, Sousa Mendes was severely punished by Salazar, stripped of his diplomatic position and forbidden from earning a living. His children were themselves blacklisted and prevented from attending university or finding meaningful work. The family’s ancestral home was repossessed by the bank. Sousa Mendes died in 1954 in poverty and disgrace. Even until this bitter end, he stood by his decision to save refugee lives, stating, "I could not have acted otherwise, and I therefore accept all that has befallen me with love." The foundation that bears his name is dedicated to sharing this history and broadcasting it far and wide, because it stands as a moral example to act against intolerance, racism and genocide today. Furthermore, with widespread recognition, the living survivors and descendants of those saved by Aristides de Sousa Mendes, many thousands of them unaware of the name of the person who helped them reach safety, may learn the true story behind their survival. Aristides de Sousa Mendes do Amaral e Abranches, "Righteous Among the Nations," I will remember you. Sometimes you can find great web design where you least expect it, and terrible web design where you would expect greatness. Take the Professional Association for Design. This is not a small potatoes organization - they have 25,000 members. It's dated - could have been created in the 90s. It's busy. You tell me how to sort through that home page to find what you're looking for. It's ugly. The greatest sin of all, for an organization that should be promoting great design. 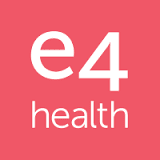 On the other hand, I accidentally came across an employee assistance program called E4 Health. This is state of the art greatness. It's a corporate mental health company. This is the third post in a row with the word "go" in the title - completely unintentional. Anyway, gofundme.com is a personal fundraising website. It takes minutes to set up a campaign. GoFundMe will deduct a 7.9% fee from each donation received. AS an example, Shana Garcia, has been tending feral cat colonies in Yonkers, NY, trapping cats for neutering/vet care and rescuing those she knows will make good pets. She does this in neighborhoods most of us would avoid She has made a deal with the local human society where they will charge her only $10 for vaccinations, $30 for spaying and bulk price for food. A close friend and colleague of mine as volunteered with Shana for many years and so I can donate knowing that the funds will be spent wisely. Shana set a modest goal of $1,000 and you can view her gofundme site here. Even if she doe not reach that goal, she can keep 92% of every donation received. 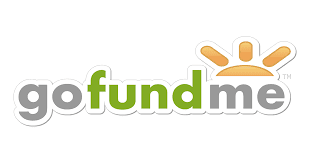 Gofundme makes it easy to donate funds and easy to share campaigns on social media.